What occurs to me upon celebrating ten years of publishing, is that BayBuzz was an accident. Maybe more accurately, a product of serendipity. When our family moved nearly 14 years ago from a Washington DC suburb to a hilltop overlooking the Tukituki, we discovered on Day 1 that we had no broadband access (horrors!). Within days I was canvassing Havelock North Village looking for a place to plug in. As luck would have it, I was ‘adopted’ by the folks then running the Village Press community paper, John Smith and reporter Mark Story. And immediately immersed in the news, gossip and entertaining foibles of Havelock North. 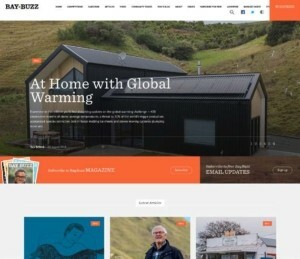 Before long, Mark and I hatched the idea of a satirical blog focused on Hawke’s Bay, and BayBuzz was born … strictly a fledgling online voice, our internet presence built by Matt and George Miller at Mogul, then operating out of their lounge. People took us in and we began to accumulate an audience for our hobby blog, in the process taking a closer look at public issues and what was going on in the councils. No richer source of foibles. Mark, however, needed a real job and went off to Hawke’s Bay Today, where he is now deputy editor. BayBuzz blog grew more issue-focused. 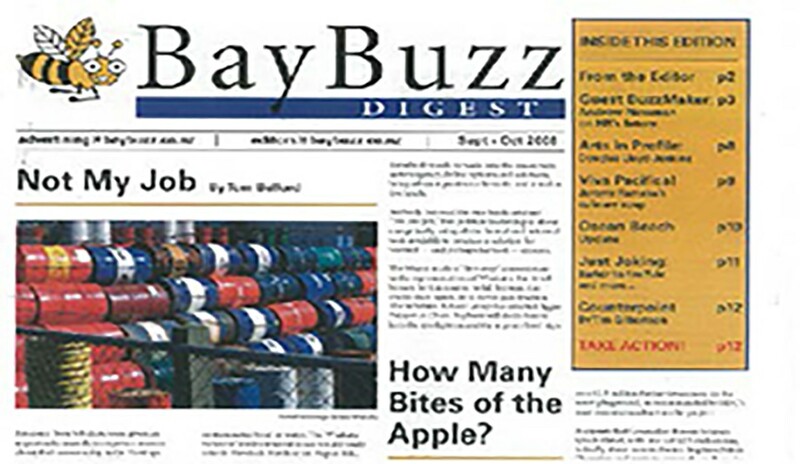 Finally in September 2008, ignoring the stampede of wiser media to the digital space, contrarian BayBuzz published our first tabloid newspaper – 10,000 circulation. Kent Baddeley helped with early design; then Shaun Lines and Julia Jameson at Grow Advertising took it on; then a moonlighting HB Today reporter, Lawrence Gullery. Our earliest regular advertisers, bless ‘em, were Clearview Estate, Poppies Books and Opera Kitchen (our ‘office’). And the first issues we took on? The sacking of the DHB Board by the Labour Government, the proposed regional sports park, and the proposed massive development of Ocean Beach. Take a look at this front page. Some things never change, some do! After three years of producing the monthly tabloid, we felt we were working too hard, and so decided to produced a bi-monthly magazine instead – a ‘fewer but better’ strategy. was more of an issues journal. Then a step-change in Sep/Oct 2014. Our first magazine, published for July/August 2011, was more of an issues journal – pretty grunty issue analysis, with a smattering of ‘arts & culture’. And like the tabloid, FREE!! Made possible by a smattering of advertisers and a handful of generous donors who liked the idea of local issues being seriously examined. Take a look at this cover (above, left) – HB’s vulnerability to natural disasters, regional economic challenges, Cranford re-born, remaining GMO-free, the fate of HB tourism. Created by Band; then ongoing design by Stefan Olsen; and then Max Parkes and Giselle Reid at Unit Design. Including our first illustration by Brett Monteith, who has been doing them ever since. The big launch advertisers were Craggy Range, EIT (a stalwart ever since) and Rush Munro. Three years and 18 editions later – about the time our team was getting comfortable with what we were doing – we decided to make a step change in design and size… doubling to 96 pages and expanding the scope of content considerably, as I’ll discuss in a moment. This is the magazine most readers are now familiar with (above, right). No longer FREE! More on that in a moment too. We’ve consistently advocated the Bay could be even better, and for more of our people. Some call that negative. So be it. That has remained our core focus, but gradually we’ve expanded our scope to include the broader economic and social challenges facing the Bay. More lately we tried to bring more insight and ‘edge’ to coverage of the Bay’s lifestyle – food, design, the arts, our neighbourhoods, our star achievers. And we’ve steadily added more and more voices to the pages of BayBuzz – about four dozen in this edition. We think we’ve reached the right balance. Our most recent reader survey asked whether readers wanted more ‘serious’ stuff, more ‘lighter lifestyle’ stuff, or did we have the right mix – 80% said ‘right mix’, with the other 20% divided equally. Seems like we’re on the right path. But our ‘editorial line’ persists. We’re pro-environment (which includes sustainable growth), pro doing more to improve the lives of those struggling and vulnerable in our community, pro getting in the face of councils (and other abusers of due process), and pro the underdog in most scraps. And we’ve had a terrific crew of feature writers and photographers to deliver the goods – Mark Sweet and Keith Newman (from magazine #1), Lizzie Russell, Jessica Soutar Barron, Bridget Freeman-Rock, Michal McKay, Sarah Cates, Brendan and Kathy Webb, Mary Kippenberger; photographers Tim Whittaker (from magazine #1) and Florence Charvin; and a flotilla of columnists and guest authors. In a small market like Hawke’s Bay, advertising and subscriptions alone cannot support the quality of locally focused and produced editorial content we want to deliver … and we think you’ve come to expect. Not only is the pool of advertisers small (and their budgets limited), BayBuzz doesn’t hesitate to ‘rattle the cage’ as we dig into the issues. That makes some would-be advertisers nervous. We’re grateful that those who do advertise courageously accept that BayBuzz might cause a bit of heartburn from time to time. Thankfully, some support us, without endorsing our every word, precisely because we do rattle the cages and stimulate debate. Hence sponsors like Unison, NOW and Royston steadily support our energy/sustainability, technology, and health coverage, respectively, while leaving editorial control to BayBuzz. As for subscribers, not everybody in Hawke’s Bay is as interested as you are to delve into the important challenges we have in our community and how they might make a difference. Some just can’t devote the time. That’s understandable; people have busy lives. But it does mean that we need extra help from committed readers like you – typically people who do want to see change, ensure greater transparency, learn innovative approaches, hold councils and elected officials accountable, and generally get more insight into all the Bay has to offer and address. Our major features digging into the environment, the region’s economic and social challenges, and our councils’ various shenanigans and pet schemes take heaps of research, reading and interviewing, digesting and writing. And require monitoring these issues over time … understanding where the ‘bodies are buried’. And now we cover an even wider swath of HB – food, events, arts and people. On top of that add considerably more effort to present all that content with engaging design and first-rate photography … and a supporting website. The costs mount up, even when much of the effort, including mine, is delivered at mate’s rates or essentially volunteered. Issue-focused publications throughout the world – whether The Guardian, the Vermont Digger or The NY Times – face the same funding challenges and are increasingly turning to their most committed readers for extra support to enable their most serious investigation and reporting. So, to keep BayBuzz as affordable and accessible as possible, here’s the deal going forward. We are setting one subscription price at just $30, which will give you both our printed magazine and its online version. We’re doing this despite the fact that 77% of our readers told us in our survey that we should charge more, because we want as many folks as possible to benefit regardless of their means. This means we will be asking you to please consider topping off your subscription or renewal with an additional contribution. And, from time to time, we’ll ask you to simply make a donation. Any amount will help and your donation will be earmarked for our content – research, writing and photography. 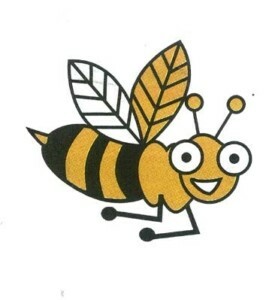 Over the years, BayBuzz has been blessed with donations, large and small, from readers who simply feel, as one said, “BayBuzz just needs to be here”. Watch this space as BayBuzz ramps up its digital presence. 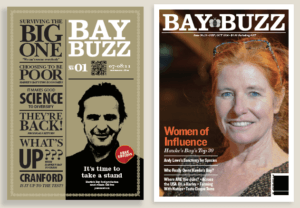 We will do our best to continuously improve BayBuzz magazine – more voices, deeper insight, more reflecting back of the overall ‘buzz’ around the Bay’s people, events, trends and accomplishments. Matched with compelling design and images. But we are not oblivious to the digital opportunities (and necessity) to deliver our content in a more dynamic and timely way. So we are preparing to overhaul and step-up our digital presence substantially. Next we are planning a fortnightly e-newsletter. And after that, who knows … perhaps an online service that delivers you each day everything you want to know or follow about Hawke’s Bay! All locally prepared and curated. Content no one else can deliver. So, the next ten years of BayBuzz promise to be even more dynamic than the last decade. I hope you’ll stick with us and even step-up your support. 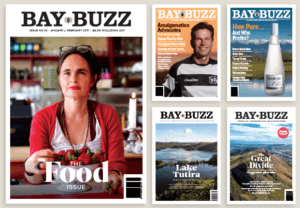 Our kind of locally focused, locally prepared insight into the ‘buzz’ of Hawke’s Bay can only be produced with your help.